Today’s image comes from one of the most memorable and enchanting places I know, the Basilica Cistern beneath the streets of Istanbul. This giant underground space formerly used to provide water to some of the palaces in the city. 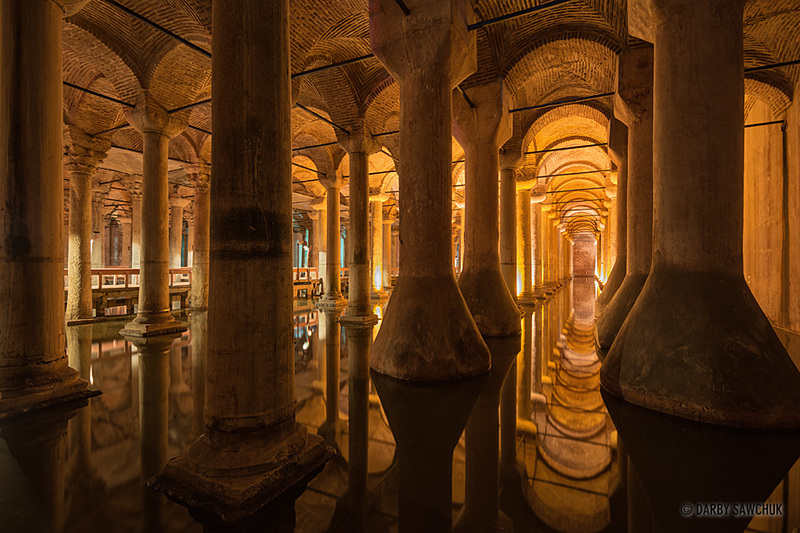 Now, raised walkways allow visitors to walk amongst the 336 columns while keeping their feet dry in the mostly-drained cistern. Water dripping from the ceiling and quiet, haunting classical music help to set the mood in the dark forest of giant columns.